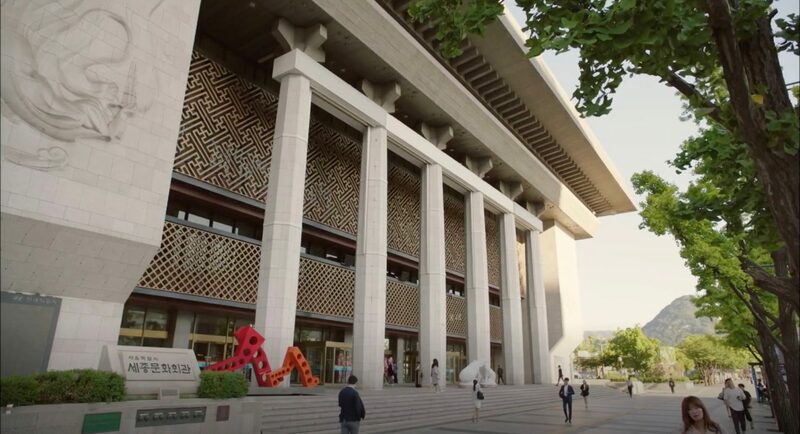 Kim Bon (So Ji-sub) and his former NIS colleague Yoo Ji-yeon (Im Se-mi) meet up in front of this building in episode 7 of Terius Behind Me (내 뒤에 테리우스) (MBC, 2018). 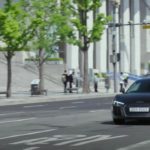 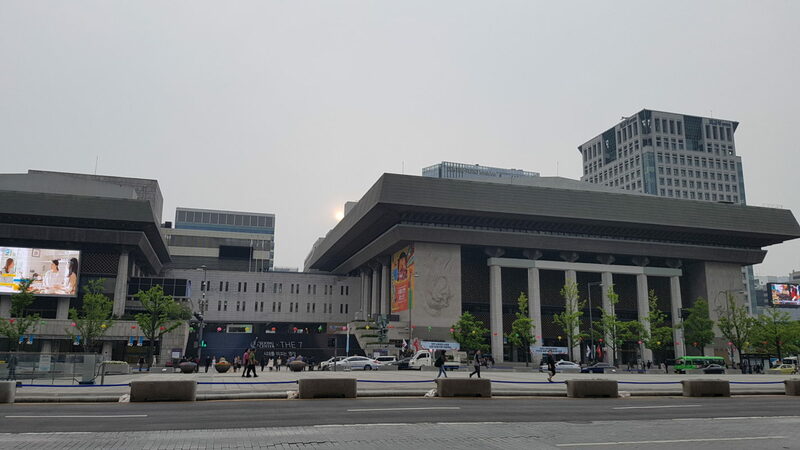 Choi Kang-seok (Jang Dong-gun) passes by this building when fetching Go Yun-woo (Park Hyung-sik) from prison upon his release in episode 16 of Suits (슈츠) (KBS2, 2018). 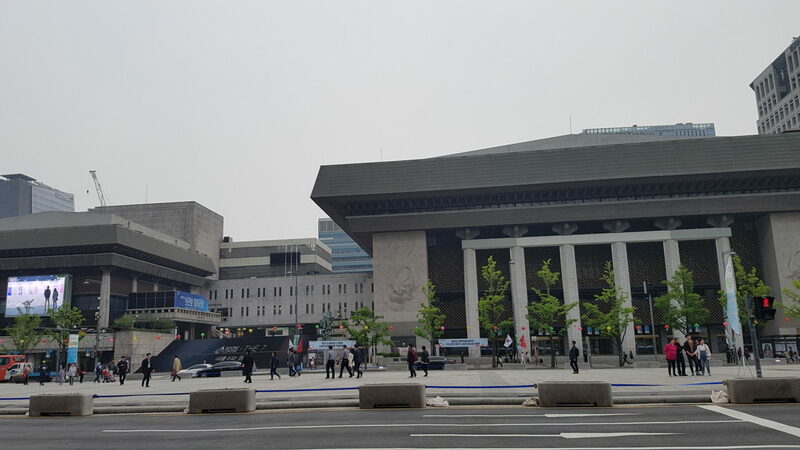 Lee Ji-an (Lee Ji-eun, also known as the singer IU) stands on the sidewalk outside this building in episode 3 of My Mister/My Ajusshi (나의 아저씨) (tvN, 2018). 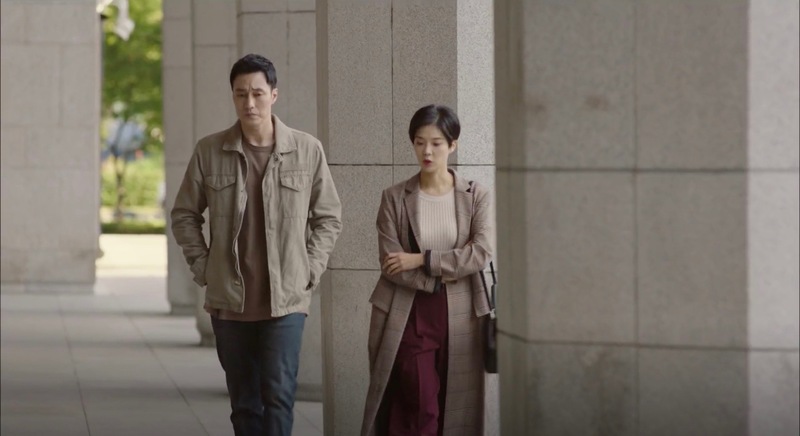 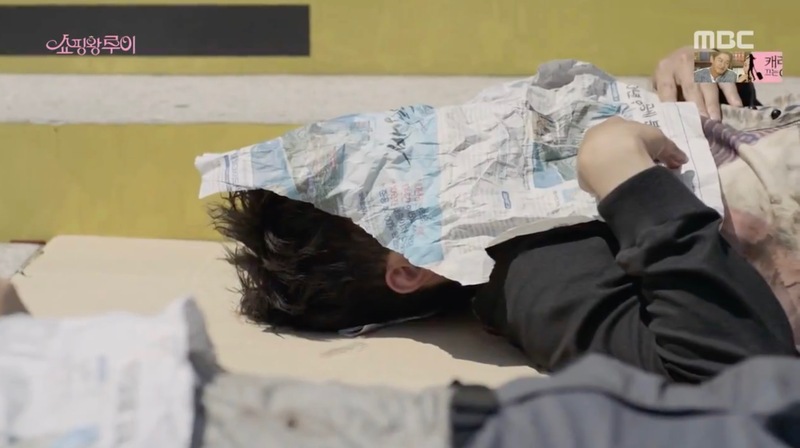 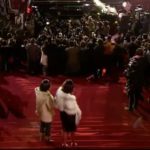 She stares into space for a time, after Park Dong-hoon (Lee Sun-kyun) rejects her text message request to buy her dinner. 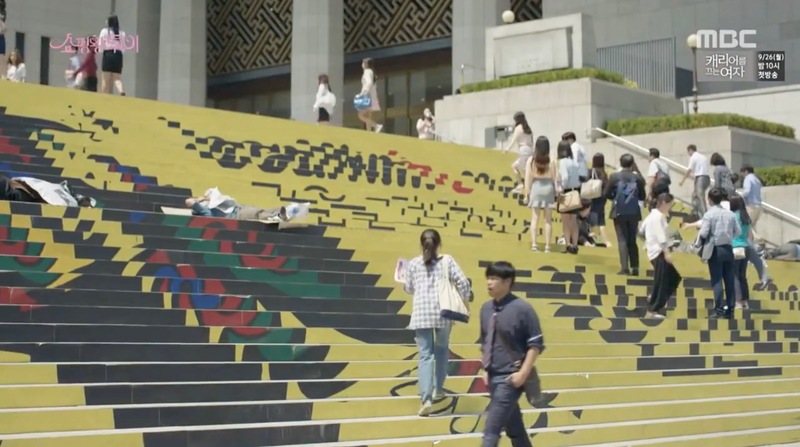 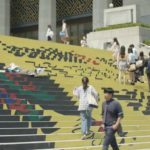 Louis (Seo In-guk) sleeps on the stairs that lead to the Sejong Center in episode 2 of Shopping King Louis/Shopping King Louie (쇼핑왕 루이) (MBC, 2016) after he lost his memory; it’s also the place where Ko Bok-sil (Nam Ji-hyun) finds him. 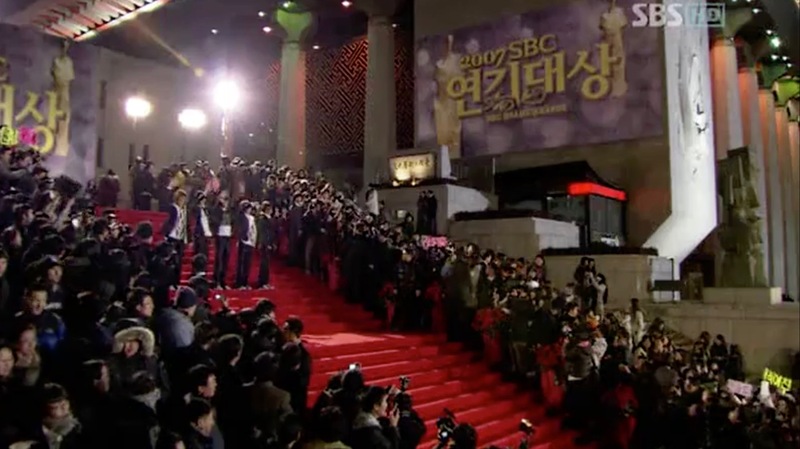 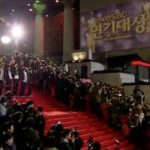 The ‘SBC 207 Drama Awards’ in episode 1 of On Air (온에어) (SBS, 2008) take place here at which Oh Seung-ah (Kim Ha-neul) rejects her award. 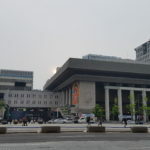 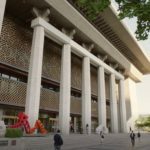 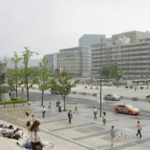 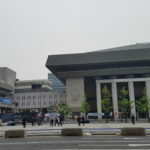 Sejong Center for the Performing Arts [세종문화회관] is the largest arts and cultural complex in Seoul, South Korea. 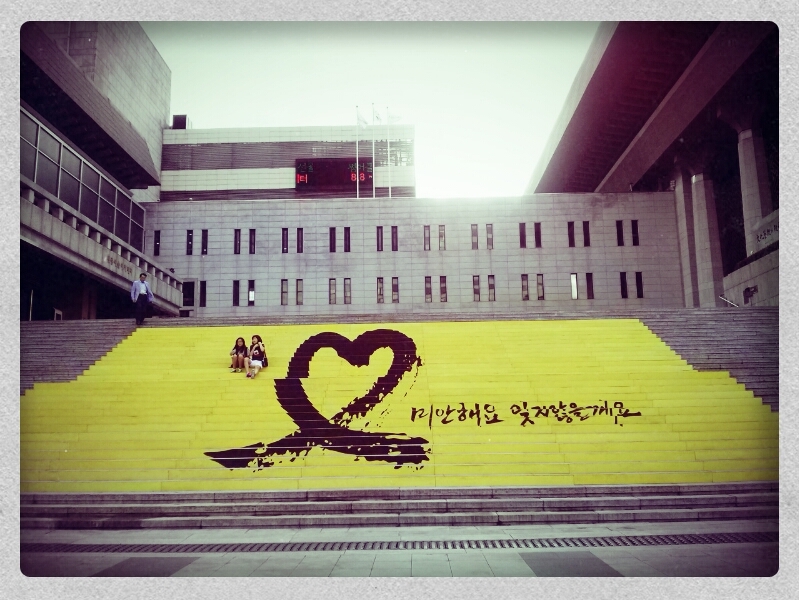 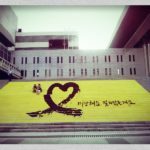 It is situated alongside of Gwanghwamun Square [광화문광장] in the Jongno District (Jongno-gu/종로구).